As Christian’s, are we quick to hear, slow to speak, and slow to anger? In other words, do we listen to someone else’s problems? Or, would we rather voice OUR problems? As Christian’s, are we slow to speak, instead voting to hear? Do we think about the words we are about to speak and how those words might be perceived? Or, do we constantly put our foot in our mouth? Do those things we say in passing offend others? Do we push others away from god with our words, rather than drawing them closer? Proverbs 25:11 says, “A word fitly spoken is like apples of gold in settings of silver.” Do we speak words of encouragement or do we speak words of discouragement? 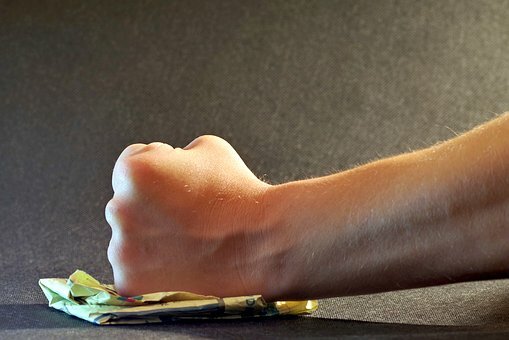 As Christian’s, are we slow to anger? In other words, does it take a lot to make us angry? Or, do we let simple things overcome us with anger? Instead of dwelling on our anger, do we forgive and forget? Notice the words in verse 20, within the given scripture, “for the anger of man does not produce the righteousness of God.” When we get angry in public, do others see it? When they do see us overcome with anger, do they see the righteousness of God within you? Or, do they see a person who is distracted by worldly problems and not focused on the eternal goal? The fact of the matter is, we are going to get angry. You are going to have your buttons pushed at some point in your life. Everyone has experienced it. Everyone will continue to experience it. However, the manner in which we handle that anger, or channel that anger, is the deciding factor for which we are judged. You are not special because you walk on two legs, for many animals do, too. However, you are special when you use those legs to go where God has sent you (Mark 16:15; Hebrews 11:8). You are not special because you can sing, for the morning birds out-sing us all. However, you are special when God is praised with your song (Acts 16:25; Psalm 95:2). You are not special simply because you are loved, for parents have loved their children since the dawn of creation. However, you arespecial because God has loved you (1 John 4:10; Ephesians 2:4). You are not special because you can find your way home, for dogs, horses, and cattle do it every day. However, you are special when you find your way to heaven (Acts 17:27; John 14:6; Matthew 7:13-14). You are not special because you can argue, for 2 year-olds do that with great enthusiasm and marvelous skill. However, you are special because you have an advocate—one who stands on your behalf—in the presence of the Father (1 John 2:1). You are not special because you can reason, for even mouse can find its way out of a maze. However, you are special because you can work out your own salvation with fear and trembling (Philippians 2:12). You are not special because you have problems, for even Solomon had great problems (read the book of Ecclesiastes). However, you arespecial if God is one your side (Psalm 46:1-3). You are not special if you face death, for death is one of the equalizers of humanity. However, you are special if death has no power over you (1 Corinthians 15:50-57). You are not special because of the color of your skin or your hair, your gender, your race, or your heritage, for we are all of one blood (Acts 17:26). However, you are special if you have been washed in the blood of Jesus (Hebrews 9:15; Revelation 1:5). You are not special if you sin, for all have sinned and come short of the glory of God (Romans 3:23). However, you are very special if you have been washed, sanctified, and justified in the name of our Lord Jesus (1 Corinthians 6:11). Abraham Lincoln once said, “A house divided against itself cannot stand” (Matthew 12:25). He should know, he led the country through the most tumultuous time in our history. See, unity is woven into the very fabric of our nation. It took unity to form our nation, it has taken unity to sustain our nation, along with our liberties and freedoms that we experience, and it will take unity to preserve our nation for the future generations of Americans. Without a shadow of a doubt, unity is essential to the health of a nation, both present and future. In fact, strength as a nation can only be found in unity. Yet, today, I am not seeing a lot of unity in our country. We are literally divided on every single issue we face as a country. From gun control, to race relations, to climate change, to immigration, there exists no cohesiveness in opinions surrounding these issues. In fact, when discussing these issues, we enter the conversation divided, because we stick to the platforms of our political parties or the opinions of our favorite news media or talk show hosts. We are either a Republican or Democrat, a conservative or liberal, African-American or White, wealthy or poor, but not an American. Conversely, you could also make the same argument about Christianity. We are divided on most issues we face spiritually. Right now, there are over 40,000 different denominations within the Christian religion, each with their own interpretations and opinions of scripture. Peter wrote, in the first epistle of Peter. “Finally, all of you have unity of mind, sympathy, brotherly love, a tender heart, and a humble mind” (1 Peter 3:8). This book was written to Churches in Asia Minor who were suffering religious persecution. Paul wrote in First Corinthians, “I appeal to you, brothers and sisters, in the name of our Lord Jesus Christ, that all of you agree with one another in what you say and that there be no divisions among you, but that you be perfectly united in mind and thought” (1 Cor. 1:10). This book of scripture was written to correct the fallacious views in the Corinthian Church. I sense none of the unifying concepts such as the aforementioned, that chief apostles Paul and Peter taught and Jesus Christ inspired, being practiced in Christianity. The truth of the matter is, we have let our own ideologies and personal interpretations of God’s Word divide us into sects and groups where we can no longer agree on the simplest of spiritual concepts. Much like our nation, as children of God, we are no longer united; there exists no cohesiveness within our doctrine and teachings. We are separated and shall continue to be separated until we seek unconditional truth and love, in its purest form through God’s Word. When Christians are divided, our convictions falter, our message no longer resonates with those who are seeking the love of God, and our faith becomes weakened. As a result, our nation suffers. Does the dysfunctional and divided state of our society not directly correlate with the state of Christianity today? Woodrow Wilson once said, “You cannot become thorough Americans if you think of yourselves in groups. America does not consist of groups. 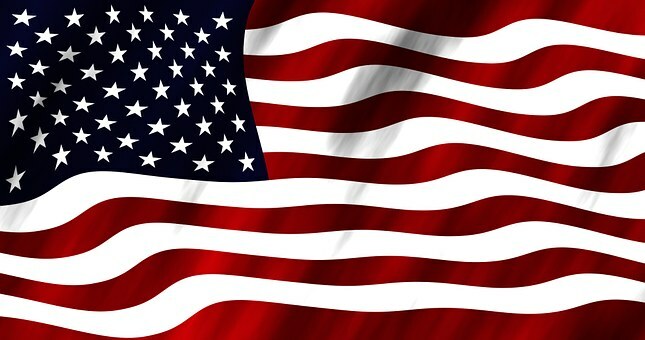 A man who thinks of himself as belonging to a particular national group has not yet become an American.” If you replace Americans with the word Christians, the quote reads as such, “You cannot become thorough Christians if you think of yourselves in groups. Christianity does not consist of groups. 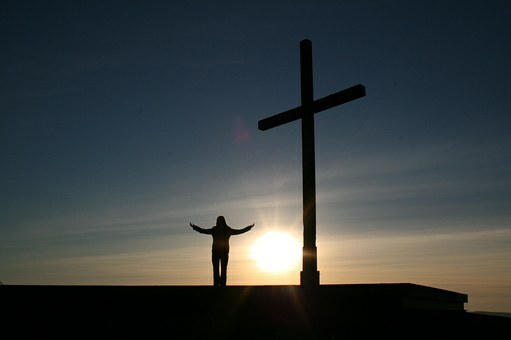 A man who thinks of himself as belonging to a particular Christian group has not yet become a Christian.” If you have followed the plan of salvation correctly, and become a Christian, then you are, first and foremost, a Christian. That relationship trumps any particular group or sect of Christianity. In Franklin D. Roosevelt’s first inaugural address he included the now-famous line, “The only thing we have to fear is fear itself.” And you know what? That is kind of hard to argue with. I mean, fear is an intangible. You can’t see it, hear it, smell it, touch it, or taste it. You can’t put it in a bottle, and you can’t put a price on it. One could almost ask if something so elusive was even real. But of course that is not going to happen, because we all know that it is. We have all felt it, and we all know its power. But while we may not be able to argue with FDR, we would also have to argue that fear is worth fearing. Think of how your fears may have changed over your lifetime. Was there ever a time you were afraid of the dark? Of being alone? Of being laughed at? Of being the last one picked for dodge ball? These are all common fears, but generally they aren’t the lasting ones. Most folks get over being afraid of the dark–or they at least learn to manage their fears. And as time goes on, the fears we have mature along with us. Old fears get left behind, and new fears will take their place. When you look at the apostle Peter you might think he was fearless. He stood up on Pentecost and indicted his fellow Jews for having killed Jesus (Acts 2:22-23). A few short days later he essentially told the highest religious court of the Jews that he did not care what they thought, said, or did, he was going to keep preaching about Jesus (Acts 4:19-20). In the next chapter, he was arrested and beaten, but kept on preaching (Acts 5:40). The man was unstoppable, unafraid of anything or anyone! 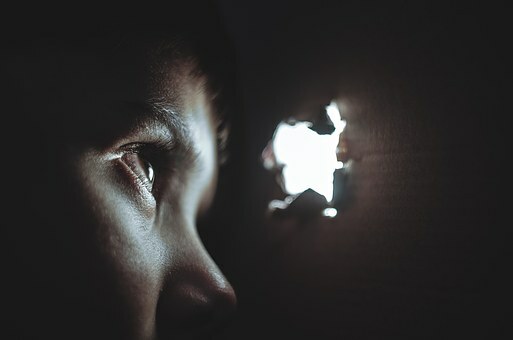 But if you had seen him a few days before Pentecost, you would have seen him hiding behind a closed and locked door, afraid to be seen and afraid to have made a sound about Jesus (John 21:19). Fear had its ugly grip on him, and the man who would later be fearless and unstoppable had at this point been stopped cold in his tracks. But Peter wasn’t the first to be afraid because of Jesus. Many believe that was the reason Nicodemus came to Jesus by night (John 3:2). This certainly seems to be the case, as there were many of the rulers who believed in Jesus but would not confess Him for fear (John 12:42). Another one on that list was Joseph of Arimathea, the man who with Nicodemus would take the body of Jesus and bury it (John 19:38). Are you fearless? You shouldn’t be, for fear can be a healthy thing. Fear can help keep you safe. Fear keeps you from purposefully putting your hand on a hot stove. Fear makes sure you “click it or ticket.” Fear steers you away from ingesting, injecting, or inflicting harm upon your body. Fear, hopefully, will keep you from enduring the fires of hell for all eternity. Yes, we all experience fears on a daily basis, even though most of them are manageable or even healthy. But there are also fears that may not be quite so manageable, and those are the fears that we should really fear. You know the ones I am talking about. The ones that stop you cold in your tracks. For some, it may be heights, or snakes, or water, or cancer, or clowns. But for way, way, way too many, Peter’s fear is your fear. Fear to unlock the door, to step out, and to talk about Jesus. Fear to let others see you as a servant. Fear of being laughed at, or having someone label you as…godly? If your life is not right with God, is it fear that has you stopped? President Roosevelt hit it right on the nose. In an effort to shake our nation free from the Great Depression, he pointed right at the problem that was keeping the economy at a standstill. And fear–any fear–that stops us from doing what needs to be done, well, that is definitely something worth fearing. 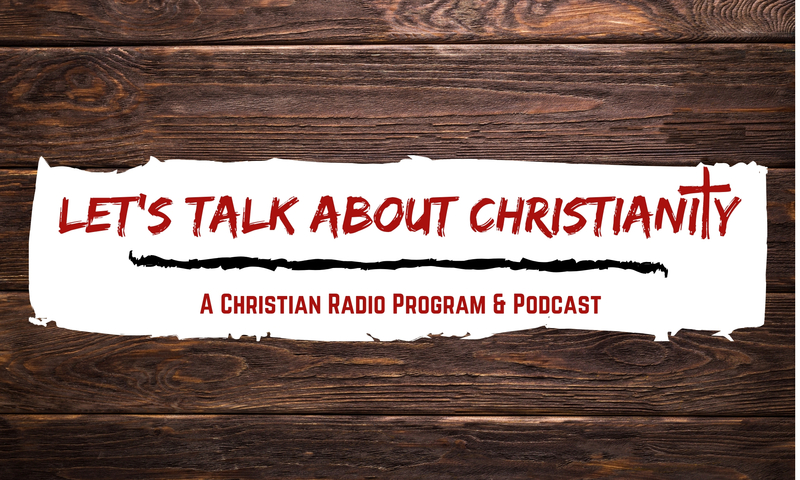 On this week’s episode, we discuss the shooting at the Burnette Chapel Church of Christ. Also, we discuss a Random Bible Question. 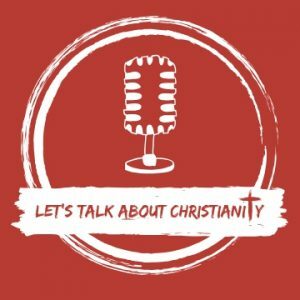 Thank you for visiting the Let’s Talk About Christianity website! Bookmark this website and check back often, there is going to be some pretty cool and insightful stuff on here! Also, be sure to check out our Facebook page as well!